Luina Greine Farm is located at 65 Common St. near the town center in picturesque Groton, Massachusetts. Owned and operated by the Sullivan Family since 2011, the farm is nestled on 19 acres of rolling hills and apple orchards. Luina Greine Farm boasts some of the most breathtaking sunsets every night of the year. So in keeping with their Irish heritage, the Sullivan’s decided to name their farm “Luina Greine” (sounds like Leena-Grain) which means “sunset” in Irish Gaelic. The Sullivan’s opened their country store for the first time in 2012 and will be opening for their 6th season September 2nd. The store will offer even more variety this year with an expanded line of beautiful alpaca products. Considered to be superior to wool, alpaca fleece is very soft, extremely warm and naturally waterproof. 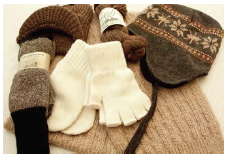 In addition, to these qualities, the alpaca fiber is lanolin free and therefore considered hypoallergenic. The idea for an Alpaca farm came while visiting a country fair, the entire Sullivan family fell in love with the alpaca’s sweet, curious nature and decided to introduce them to their farm. 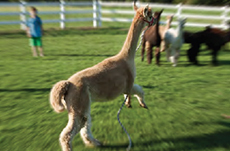 Everyone in the family pitches in to take care of the alpacas, especially the kids who love romping around with these soft-footed, gentle creatures. Today, the farm is home to two miniature donkeys, 12 Huacaya alpacas, two Nigerian dwarf goats and two Shetland sheep and a Haflinger horse. 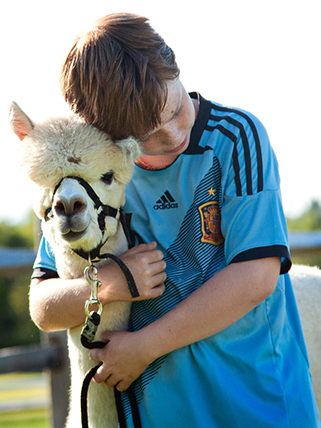 The idea for an Alpaca farm came while visiting a country fair, the entire Sullivan family fell in love with the alpaca’s sweet, curious nature and decided to introduce them to their farm. Everyone in the family pitches in to take care of the alpacas, especially the kids who love romping around with these soft-footed, gentle creatures. Today, the farm is home to 2 miniature donkeys, 6 ducks and 9 Huacaya Alpacas including two new babies born in June, Finnegan and Rosie. 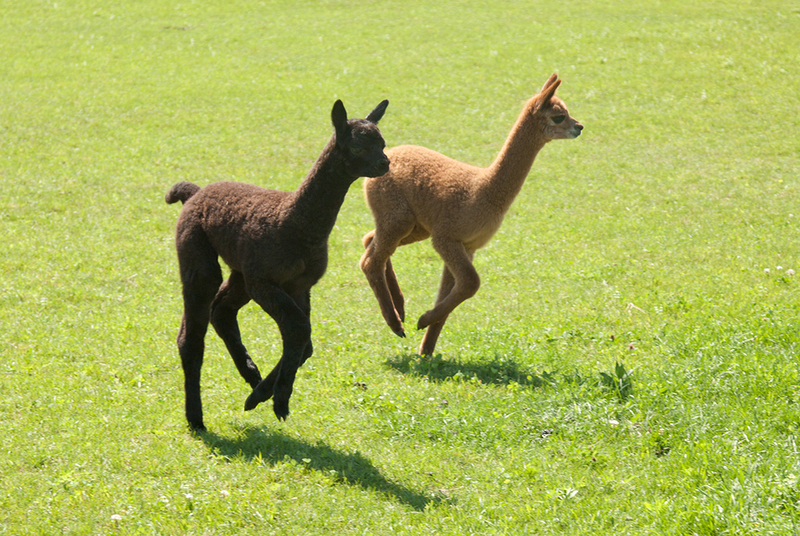 Our newest additions – Born in June, Finnegan (Black) and Rosie (Brown) go for a run across the Field!!! The Luina Greine Farm offers fine quality, U.S.A. and Peruvian made alpaca fleece products in their farm’s country store and at local fairs.